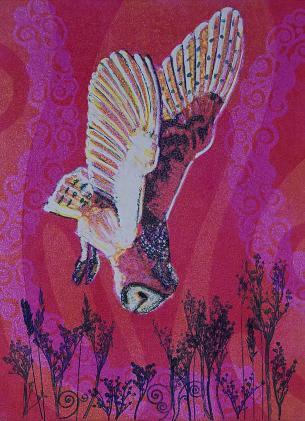 I am an artist and printmaker living in Sutherland in the Scottish Highlands. 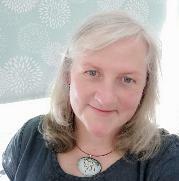 I am fashion and textiles trained (Bath Spa University and Manchester Polytechnic) which is where my love of printmaking started. I worked in the fashion industry for over 20 years as a designer and pattern maker. When I moved to Sutherland in 2005 I had the chance to be more hands-on creative and re-kindle my love of printmaking that had been simmering on the back burner since the early days of college. I take inspiration from my surroundings in the Scottish Highlands with its abundance of wildlife and vast range of contrasting landscapes, from the moors and mountains, waterfalls and lochs to the turquoise waters and white sands of the beautiful beaches. For a number of years I used a converted ACME mangle for producing my prints but then in 2012 I treated myself to a proper traditional etching press which is fabulous and much easier to use! 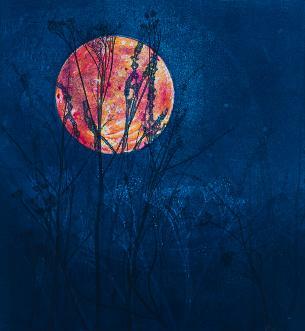 My work includes various methods of printmaking; monoprint, drypoint etching, collagraph and lino cut and I also love mixed media techniques. I love the process of creating prints using different methods especially monoprints, where part of the fun is not knowing what the end result will be until the last minute. It can take hours of manipulating ink on the printing plate before they go through the press. I love experimenting and each finished piece is unique. I exhibit regularly in the Scottish Highlands including local galleries and my work is included in private collections in the UK, USA, Australia and New Zealand. I also teach workshops for individuals and small groups in various printmaking techniques. Please explore the site to discover original artwork.